For the first time, Speak Up America, a campaign that celebrates past, present, and new Speak Up participants, ran twice in 2016! From November 7th-11th and December 5th-9th, this event featured recognition of top participants and opportunities to win free conference registrations and multiple chances to receive a classroom or school grant! Free Regional Conference Registrations to CETPA, CUE, LEAD3, ICE, MASSCUE, METC, NCCE, NETA and TCEA. How Does Your State Compare? View the participant map to see how much your state participated. National Speak Up Day was the day to encourage your students, teachers, and parents to take the Speak Up 2016 surveys. National Speak Up Day was also the day after Election Day this year, making it the perfect time to Speak Up for education issues! Thank you to all who participated not only on this day but throughout the entire survey period. Our annual Speak Up America Photo and Video Challenges were as popular as ever, with five opportunities to win a $200 classroom/school grant! In order to enter the challenge, participants took a photo with the Speak Up 2016 participant badge or filmed a 15-30 second video explaining to the next President why using technology for learning is important. All entries were sent to the Speak Up team via email or social media with the hashtag #SpeakUpsnapshot (photo challenge) or #VoicesofSpeakUp (video challenge). Congratulations again to our winners! To view all the entries, please click on the buttons on the left side of the page. AASA, the School Superintendents Association, is offering one free registration to Prince Georges County Public Schools, VA to attend their 2017 National Conference on Education in New Orleans (a $1,000 value for non-members). AASA, the School Superintendents Association, is offering one free registration to their 2017 National Conference on Education in New Orleans (a $1,000 value for non-members). Blackboard is offering a free registration to BbWorld 17 July 25-27, 2017 in New Orleans. Check back soon to find out who the winner is! CoSN is offering one free 2017 Annual Conference registration (a $649 value for non-members)! Stay tuned for more details about the winning district! iNACOL is offering one free registration to the 2017 iNACOL Blended and Online Learning Symposium (an $810 value for non-members). (Check out the 2016 symposium going on Oct 25-28.) Check back soon to see who won this special registration! ISTE is offering one free registration to ISTE 2017! 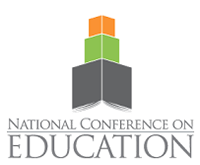 The National Association of Secondary School Principals (NASSP) offered one free registration to the first-ever joint conference of NASSP and NAESP, the National Principals Conference (a $795 value for non-members). Check back later to find out who the lucky district is! California Districts: CETPA’s free registration winner is Del Mar Union Elementary School District from CA! California and Nevada Districts: Our good friends at CUE offered free 2017 conference registrations and memberships (a $320 value each) to Central Union High, CA and Tustin Unified School District, CA! 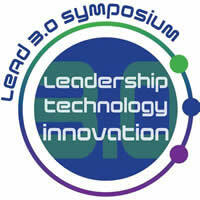 California Districts: CUE also offered one free registration (a $400 value) to the Lead3 Symposium to Anaheim Elementary School District, CA! Indiana Districts: Congratulations, Portage Township Schools form IN for winning ICE-IN's free registration to the 2017 Indiana Connected Educators (ICE) Conference! Nebraska Districts: NETA is providing a free registration to their Spring 2017 conference in Omaha in April. Texas Districts: Congratulations, Weslaco ISD for winning the TCEA free registration to TCEA 2017 in Austin! Our friends at the Northwest Council for Computer Education (NCCE) provided a free registration ($375 value) for their March 2017 conference in Portland, Oregon. Congratulations, Lopez School District from WA! MassCUE also offered one free registration (a $165 value) to Seekonk Public Schools for their Fall 2017 conference! Thank you, MassCue! METC offered a free 2017 conference registration! Have a blast in St. Louis, St. Francis Borgia Regional High School! Thank you to all of the wonderful organizations for providing free conference registrations for our lucky Speak Up districts! Congratulations again to all our Speak Up America winners!